Thursday, September 18, will mark the first International Read an eBook Day, an annual holiday to celebrate and raise awareness for reading on digital devices. Throughout September 18, OverDrive will be celebrating the holiday by giving away tablets and devices every hour on www.readanebookday.com and through social media to readers who tell their story of what eBooks mean to them. Readers can use the hashtag #eBookDay on Facebook or Twitter to tell their story, or comment directly at www.readanebookday.com. 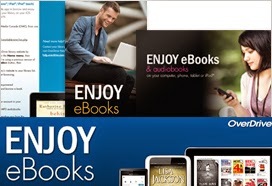 Sutherland Shire Library Service members have access to a range of eBooks via Overdrive which can be downloaded to a PC, smart phone or tablet device. You don’t have to worry about overdue items either — when you borrow an eBook, they automatically ‘return’ themselves on the due date!